Ideal for parties, clubbing, festivals or an ideal gift for someone who is always late. 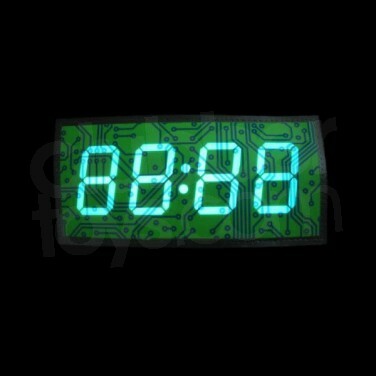 The T-Clock is more than just a t-shirt. 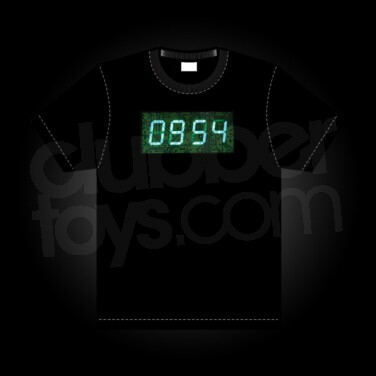 This classic black t-shirt comes with an EL (Electro Luminescence) panel featuring a fully functional clock and stopwatch, with a battery pack that snuggles discreetly inside the shirt. So whether you don't like wearing watches or just like to get noticed the T-clock is a must have.